Craft beer is getting in on the scene of charity events. 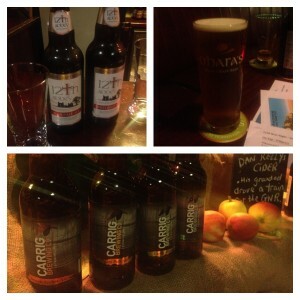 Joining the ranks of pub quizzes and races nights are charity beer tastings. I’ve hosted a number of these over the past few years but it’s great seeing them increase in popularity. They’re definitely a break in the monotony of the usual charity events, although a good pub quiz is good fun as well (earlier this year we even had one in Probus Wines so it coincided with good beer too). Tasting nights are no longer the sole preserve of the wine drinker. In fact, to broaden the appeal a combination of both works fantastically well. So what’s the inspiration of the post you might ask? 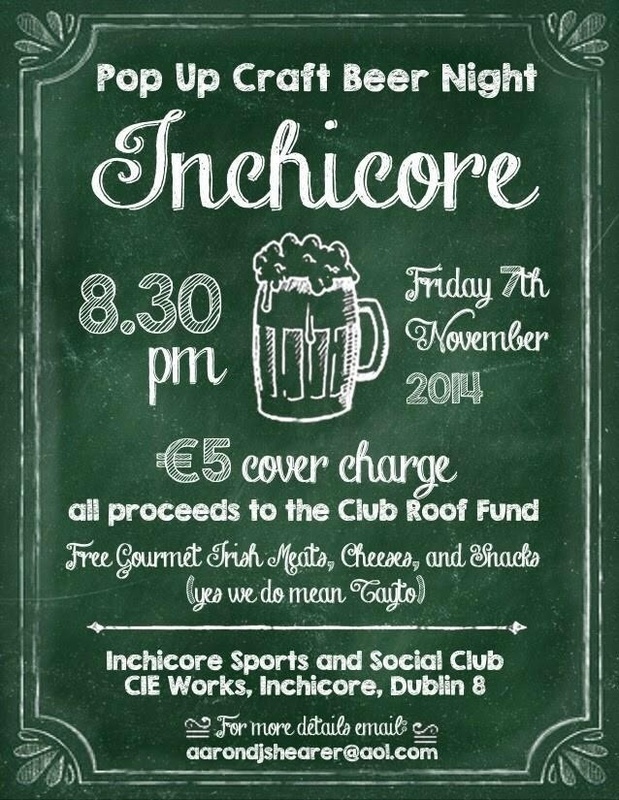 Well, recently I attended a Pop-Up Craft Beer night in the Inchicore Sports and Social Club. It was the latest fundraising event they organised for the renovation of the club’s roof. I really like the CIE Works and the surrounds so it was a great excuse the head down there. I had no idea of what to expect. Entrance was €5 and included a plate for the buffet (lots of artisan Irish cheese, bread and meat available). Of course, it wouldn’t be a craft beer event without Keogh’s crisps putting in an appearance too. Beers had to be purchased and it was less of a tasting and more of a bar, although there were tasting notes provided. O’Hara’s Pale Ale was the only beer on draught and the others from the Porterhouse, Carrig and 12th Abbey were available in bottle. 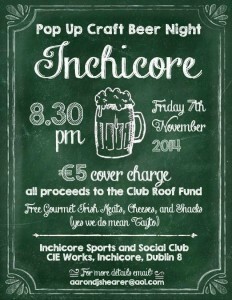 All the proceeds went to the roof so one was drinking for a good cause. 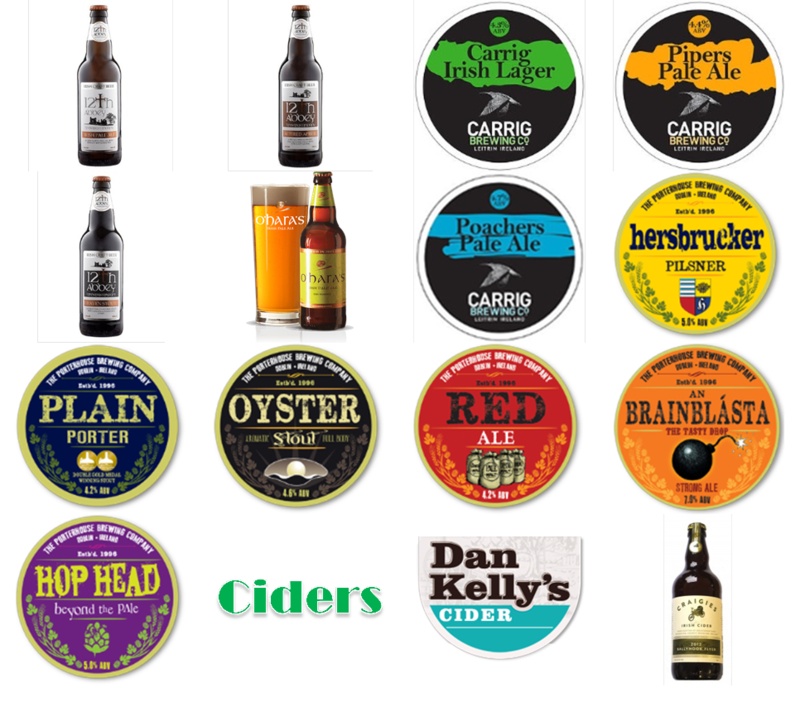 For those not willing to try them, there were two Irish ciders (Dan Kelly’s & Ballyhook Flyer), as well as 2 types of red wine but only one white wine could also be purchased. A lot of fun was to be had and the club’s atmosphere made it easy to get chatting to those attending and to get their thoughts on the beers being sold. While a given charity benefits an event like this, the ability of such evenings to introduce craft beer to a new audience shouldn’t be ignored. 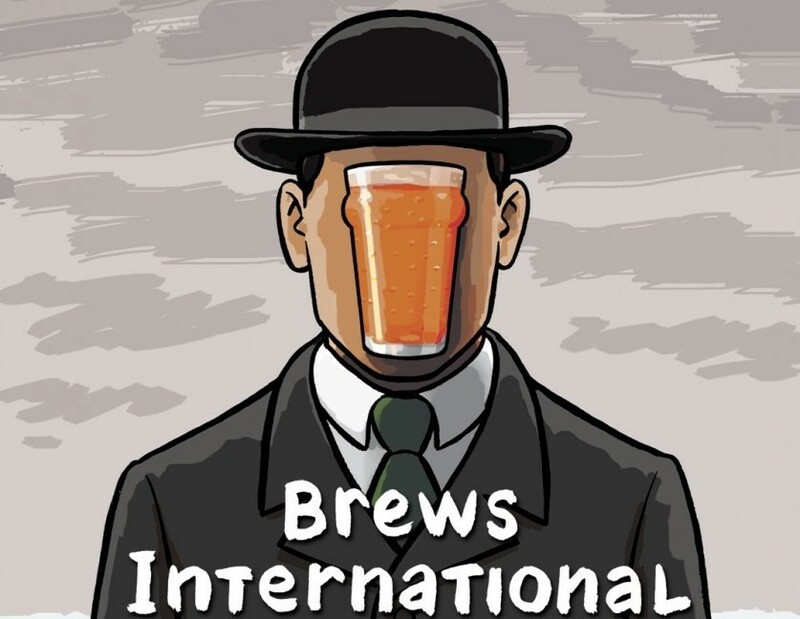 Take for instance people who show up to support the charity regardless of the event who go away with a new appreciation of a craft brewer or discovering a particular beer style. Charity beer tastings hit a wider audience than typically achieved through the usual craft beer channels and can be a good tool to win over new customers.